Dr. Dan Kalish, D.C., is a pioneer, having developed his own model of Functional Medicine founded on 20 years of successful clinical results while working with over 8,000 patients in his private practice. 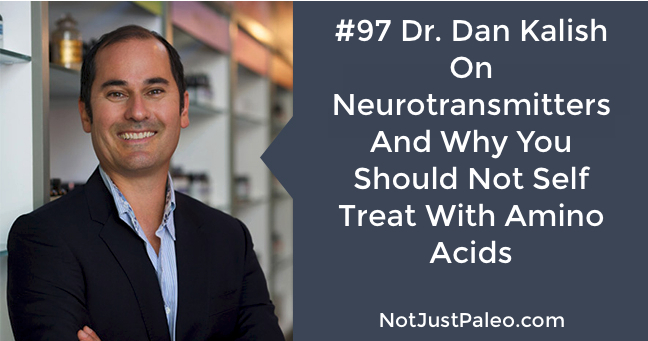 He has certified over 700 practitioners worldwide in The Kalish Method which solves patient challenges through a proven lab based mentorship program addressing the three key areas of Hormones, GI and Detoxification. Do you use short term amino acid therapy? Is urine testing for neurotransmitters legit? Dr. Kalish last few tips - become ridiculously fit, get good sleep, meditate 40 min a day and eat good food.